A majority of popular companies, especially in online distribution, make use of moving image presentations (object movies). Present your products in new ways that are more dynamic, with more information and most of all, interactive. Expand your services to include 3D photography to stand out and be different from others. As a photographer, you will appreciate the light weight design and precision drive which makes the RODEON Turntable very flexible and robust. You are aware of the advantages of a modern moving image presentation, but you now need more space and power! The solid and high-precision drive allows a perfect combination. Use a smartphone/PDA, PC or Mac for controlling the JumboDrive and your camera comfortably and fully automated. 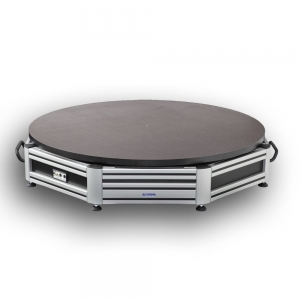 Power with sensitivity - The RODEON series turntables are universally applicable and is especially designed for optical 3D scans and 360° views with a gentle starting motion and slowing down with a defined rotation angle. Living pictures offer liveliness and convincibility - nearly every object can be presented in an interesting, custom-effective way within one's reach. Controlling software included. You are aware of the advantages of a modern moving image presentation, but you now need more space and power! The solid and high-precision drive allows a perfect concentricity. Use your Smartphone, PC or Mac for controlling the JumboDrive and your camera comfortably and fully automated. 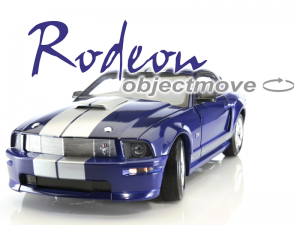 RODEONobjectmove for easily creating professional 3D object movies! The PC and Mac software controls all RODEON turntables fully automated with additional integrated camera control via USB and a live image preview. Available export formats are HTML5, Flash, and QuickTime. 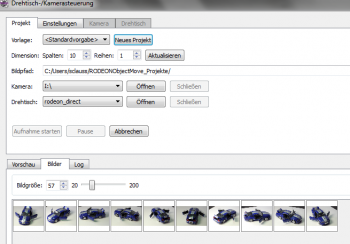 The RODEONobjectmove software suite offers all control and editing tools for easy and comfortable 3D object recordings in only one software. 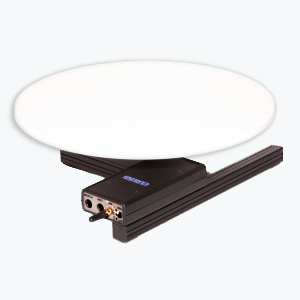 Control your RODEON TurnTable and Jumbo Drive together with your camera with your Notebook or Mac! 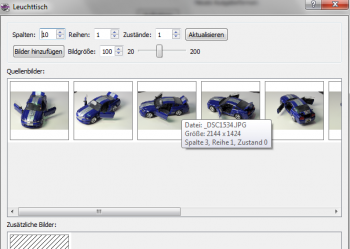 Already during the recording, results can be checked with a live image preview in order to change setup, lighting or the object itself. After completing the recording, the objectmovie can be exported as HTML5, Flash, or QuickTime. For the 3D-view replay, there are different options available. Automatic rotation, rotation speed. Zoom and Style for the navigation bar can be selected completely by intuition. Check the result of the chosen settings immediately in the output! For US and Canadian shipping addresses, please allow 2-3 weeks for delivery. For International orders, please contact us for a quote. Please provide us with your shipping address and postal/zip code.